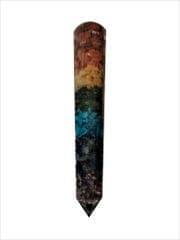 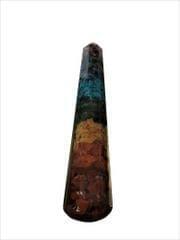 Seven chakra healing wand made by combining all the stones together to create a sublime healing energy source. 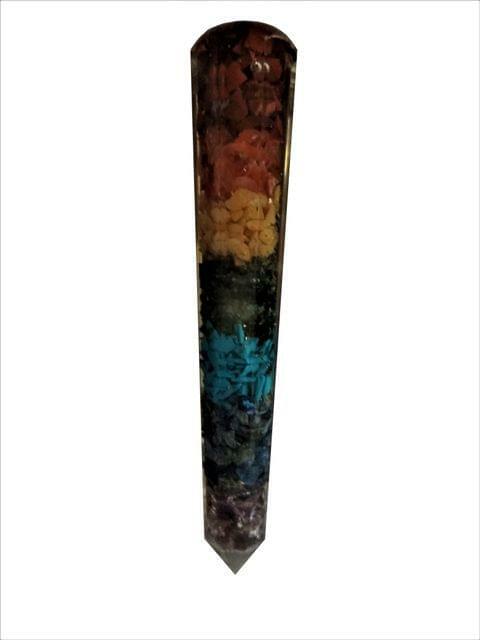 As each stone relates to a different chakra, the obelisk wand can be used for the whole body or by pointing at specific spots that require healing. It can be used for Reflexology or Accupressure as well.